Founded in 1987, Window Design Company is not only Topeka’s #1 choice for home improvement contractors, but we also have earned the reputation as one of the top home improvement companies in the area. Whether you’re searching for windows or doors, siding, decks, sunrooms or screen rooms, kitchen or bathroom remodeling, or virtually any other type of home improvement project, Window Design Company installs affordable, beautiful products that will provide you with years of comfort and enjoyment. We also have a variety of payment and financing options to meet your needs. Whether you’re building a new Louisville home, remodeling an old one or just replacing a few windows that are past their prime, your window dealer in Louisville, KS will help you pick the right windows for your needs, home style and budget. Windows come in so many sizes and types that expert advice and direction is invaluable in helping you make the best decision. These pros can also help you with custom window designs that complement your space better than something ready-made. Lastly, if you are interested in doors with windows, these experts are also knowledgeable about sliding doors, French doors and other paned portals. Your window pro might work closely with other Kansas builders and remodelers as well. Here are some related professionals and vendors to complement the work of window sales & installation: Window Treatments, General Contractors, Home Builders, Specialty Contractors, Siding & Exteriors. Find a window dealer on Houzz. 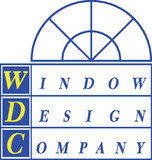 Narrow your search in the Professionals section of the website to Louisville, KS window dealers. You can also look through Louisville, KS photos to find examples of windows that you like, then contact the window professional who worked on them.